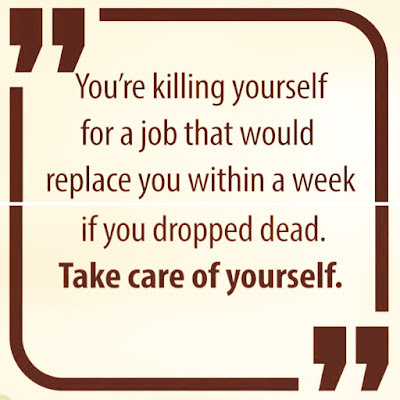 Scrutiny: Don't kill yourself for a job..
Our job is NOT our life, its JUST the PART of our life. Sadly, most of us have forgotten this. You work so that you can earn, survive, pay your bills, feed your family, please don't forget to live your life while earning. Prayers that everyone may enjoy their work, have work life balance and that the work they do will benefit them and the world!